Build any type of website fast and easy! yet the easiest free theme ever. super easy 1 click installation. Dedicated support team is here to help you. Just when you need it! Everything is customizable that you need to give your site a unique and custom look. Change your site colors, choose from different header styles, layouts, site widths and more! 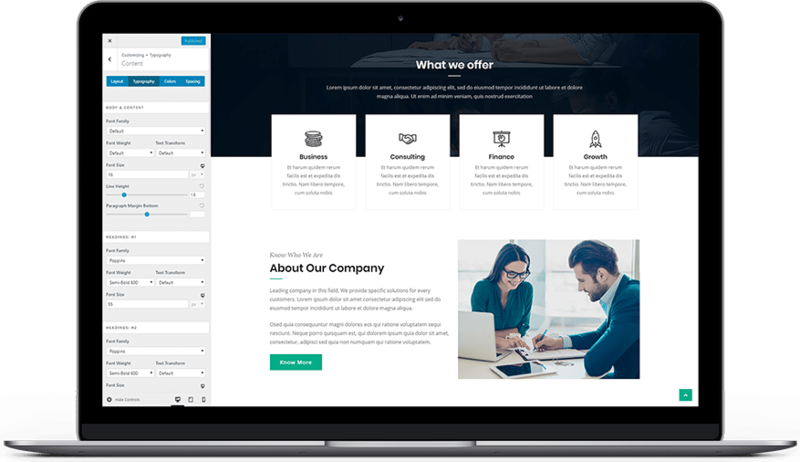 You can easily customize the layout of the website container, header, blog, archives, single pages, posts, sidebar & footer. Customize colors & fonts easily, to match your identity. You can change color and font of each section and element. 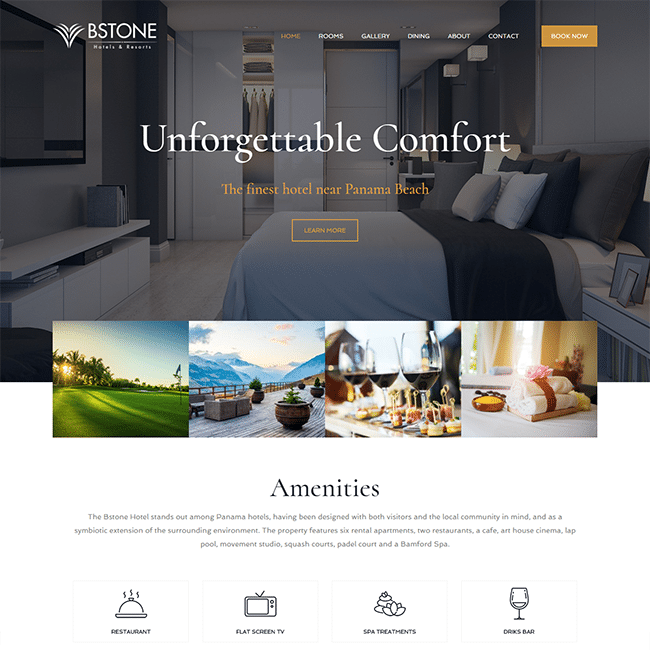 Bstone comes with many header layouts that can be customize with different color options and element placements. In spacing settings you can manage margin and padding for various elements available with Bstone. Bstone comes with many great pre-built demos to help you get started. With just a few clicks you can import your demo of choice and then tweak it to fit your needs. New demos are added frequently. 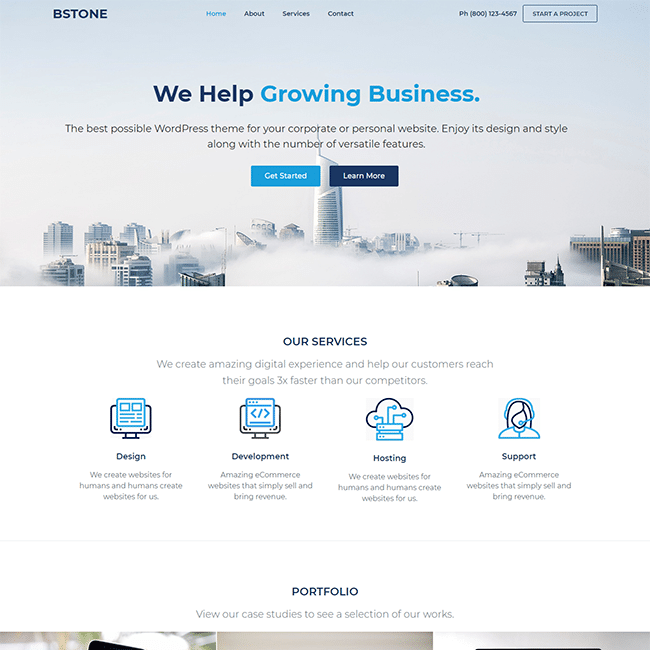 The Bstone theme comes packed with all the features you need to get your site up and running quickly and with ease and without bloating your site up with tons of 3rd party plugins. Front-end drag & drop via the popular Elementor page builder to create your site with ease. You can translate Bstone in your own language. And create multilingual websites. Woocommerce integration, monetize your website and easily sell products. Boost yours speed and achieve higher rankings on Google. Bstone has the perfect SEO foundation to rank your pages higher in SERPs. Bstone comes with built in hooks & filters so anything can be modified. Bstone is 100% open source. Anyone can join the development and contribute. 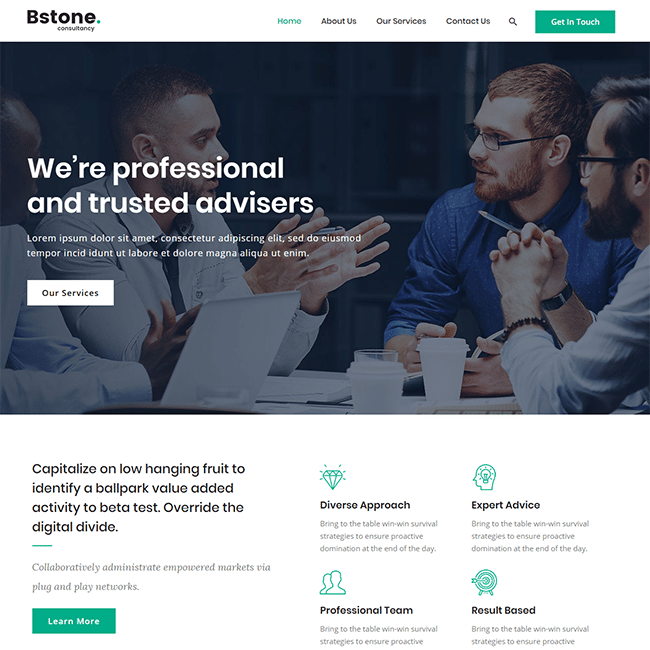 Download your copy of Bstone today and deliver your next project faster than ever.